In the pre-Quantum versions I had a great extension called "Hide Caption Titlebar Plus" which did the trick unfortunately it became a legacy extension with no suitable replacement. Have you tried a right click and a click on customize on the tool bar and dragging the offending area or icons into the customize panel? Also, do you have some form of Tab extension as I don't see this area with a load of tabs open? Grumpus wrote: Have you tried a right click and a click on customize on the tool bar and dragging the offending area or icons into the customize panel? Yes I've tried, customization by dragging do not work. The only tab extensions that I have are Tab Mix plus (very limited web extension what a pity, the pre-quantum extension was superb ) and Tab Open/Close. They don't affect the appearance of the title-bar or tab-bar what so ever. 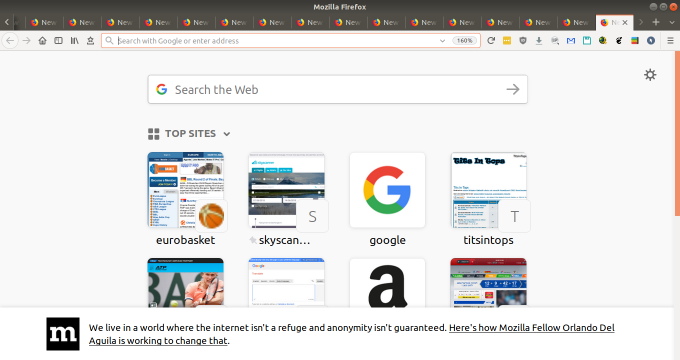 Anyhow when I'm using Firefox with ubuntu (same addons - firefox account) the title bar is separate from the tab-bar so what happens is that you can use more tabs (18 on my 13.3" 1920x1080 screen) before having the navigation arrows. The title bar is missing in my windows configuration. 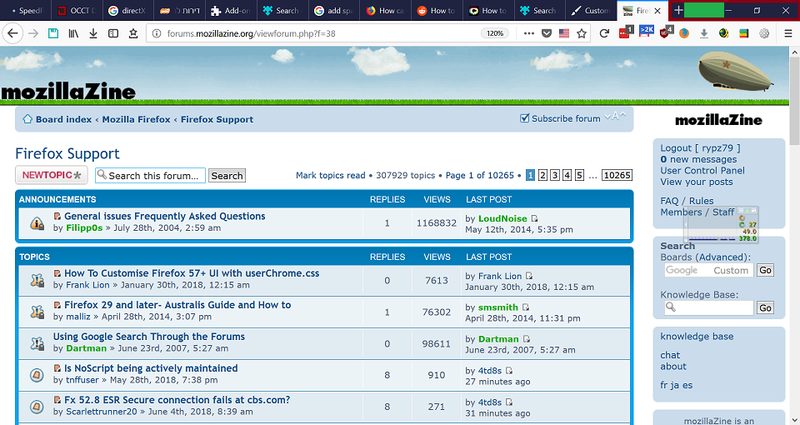 Firefox on Linux doesn't have the capability of hiding the Titlebar as can be done in Windows. Open Customize and in the lower-left corner see Title Bar check-box selector. Well below the toolbar buttons and toolbar items which can be dragged. rypz79 wrote: The title bar is missing in my windows configuration. Yeah, learn how Linux desktop managers work. Some have a 'Undecorate' entry when you right click the titlebar, which then hides it and some don't have that entry at all. So, first you check which one you've got. In other words, it never has been about Firefox on Linux and Windows, but about the OS options available. As there are over 100 Linux distros, then people will experience different results. Prior to Firefox 57, I used to override that default Linux behaviour with a small TitleBar Toggle coding extension....but Firefox doesn't use those type of extensions any more. I seem to recall that there is a Linux program around (Maximus?) that can hide the titlebar, but it did it on everything. Can't remember now, but I know it wasn't ideal. the-edmeister wrote: Firefox on Linux doesn't have the capability of hiding the Titlebar as can be done in Windows. Open Customize and in the lower-left corner see Title Bar check-box selector. Well below the toolbar buttons and toolbar items which can be dragged..
@the edmeister - It's there in Ubuntu, and two Linux Mints 17.x and 18.x.